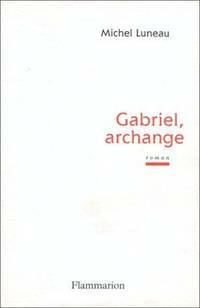 9782080673480 - Gabriel, archange by Luneau M.
Flammarion, 1996-01-01. FLAMMARION. Paperback. Used:Good. 1996-08-03. Good. Ships with Tracking Number! INTERNATIONAL WORLDWIDE Shipping available. May not contain Access Codes or Supplements. May be ex-library. Shipping & Handling by region. Buy with confidence, excellent customer service!